Please be patient while photos load. To view pictures at full size – click on picture and it will open High Resolution Picture. 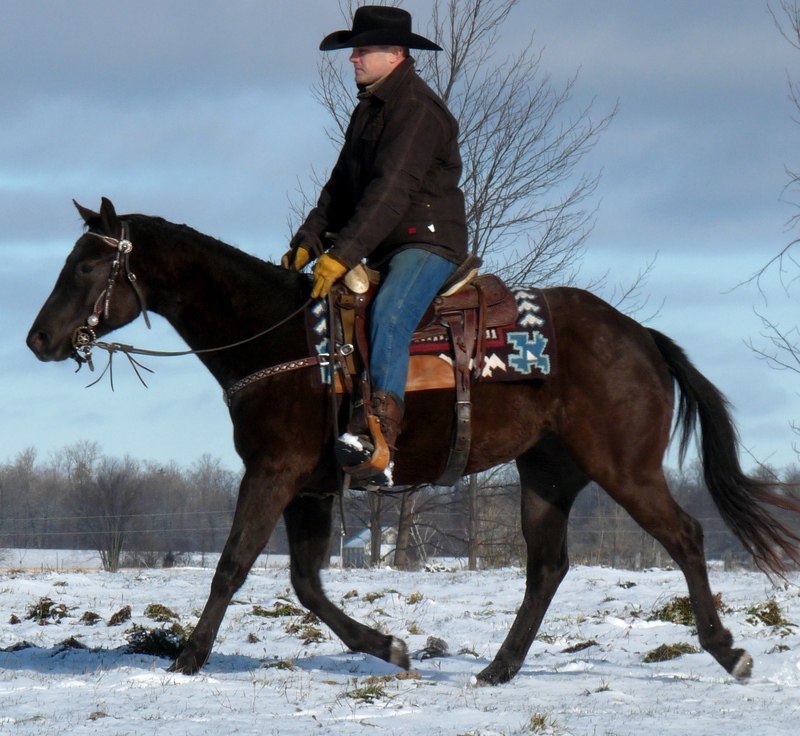 The following is a list of horses that we have for sale. 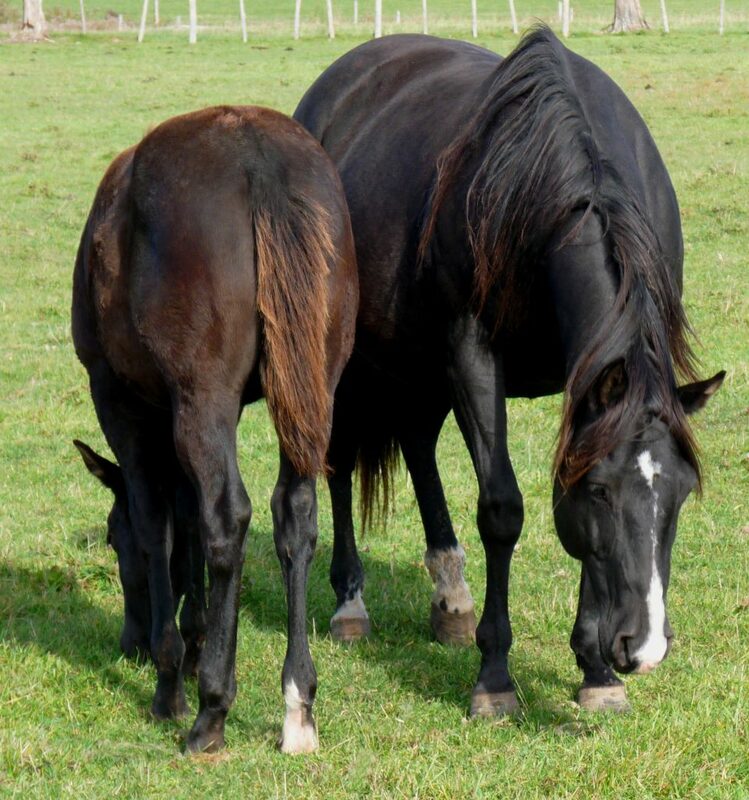 However, we usually have horses at the farm that we haven’t had time to picture and get on our site so this list is seldom complete. Please contact us for further information. If you’re looking for a fancy dun filly we’d sure to be quick to point out Lacey. 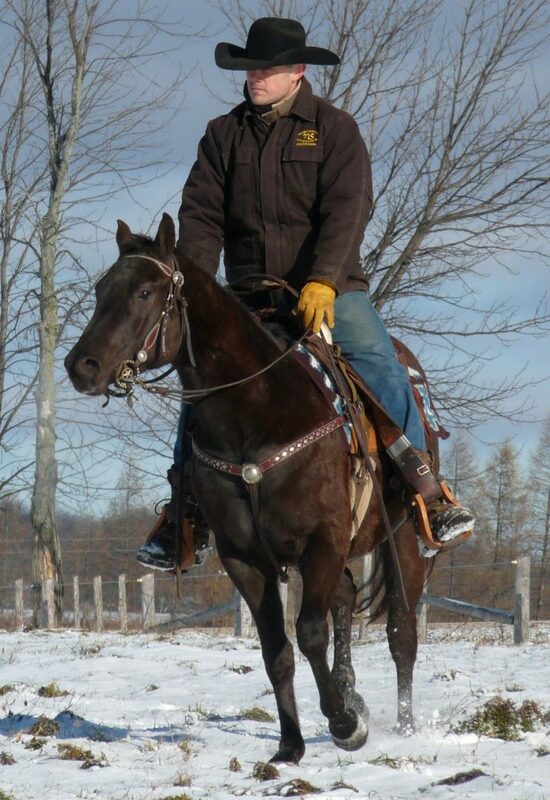 This is a big boned, big bodied, filly that still has a ton of class. She’s a 2017 model that’s only going to keep getting better. She’s wearing her full winter coat at the moment as it shows in the top picture. 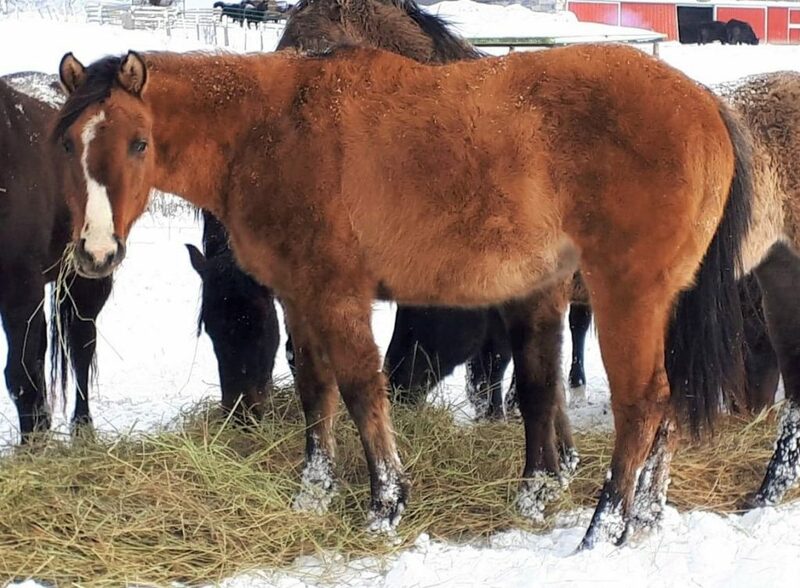 The bottom picture shows her back in the warmer weather when she was a long yearling so a person can see her colour when she’s wearing her summer coat. On top of being a really good filly, as an added bonus she’s a rich dun, with big tiger stripe markings on the legs, and lots of chrome making her a very unique and extra fancy looking individual. If you’re looking for a best friend then take a good look at Quincy. 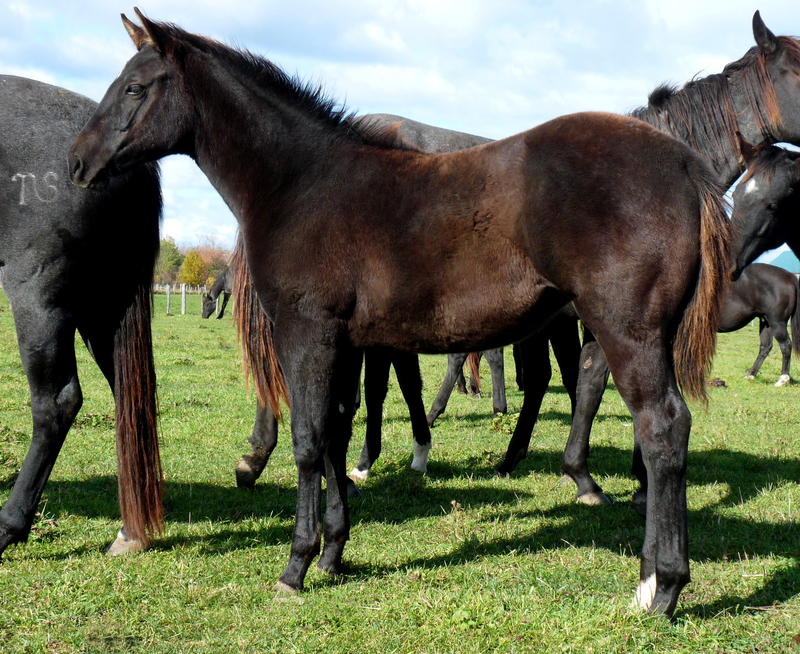 She is a 2016 model filly. Quincy has a terrific personality and loves everybody. 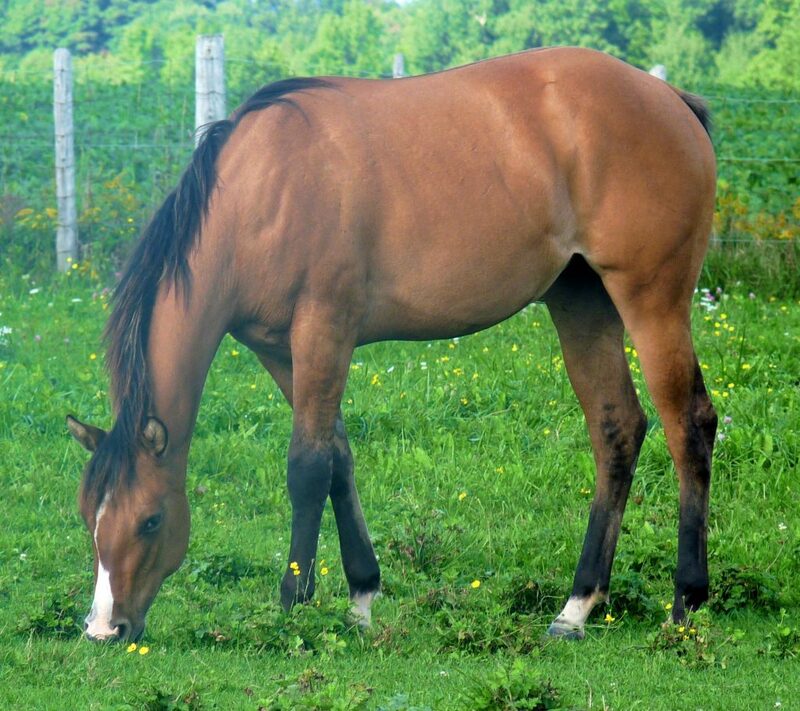 She’s being started and it’s easy to tell that she’s going to make a really nice saddle horse. 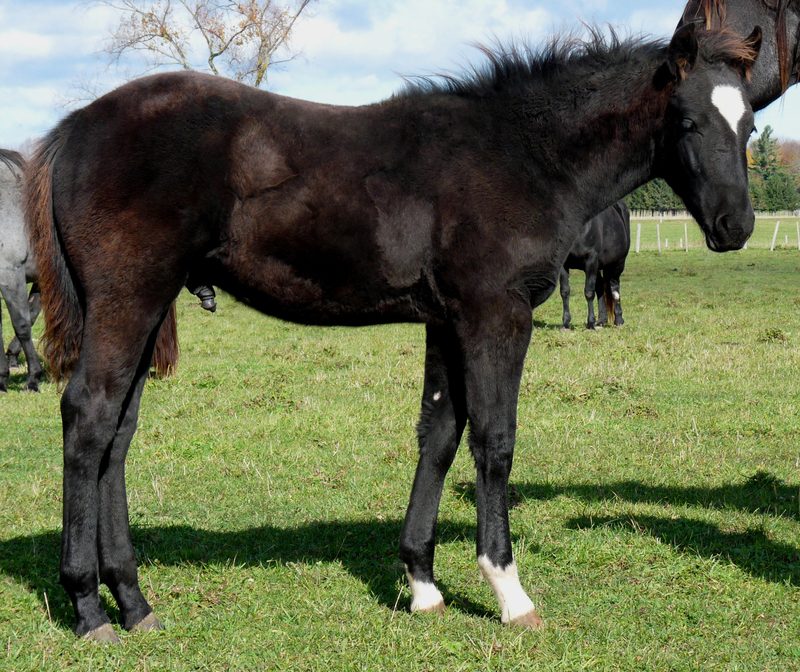 How many filly foals have the body, the size, and the hind end on them like this girl? 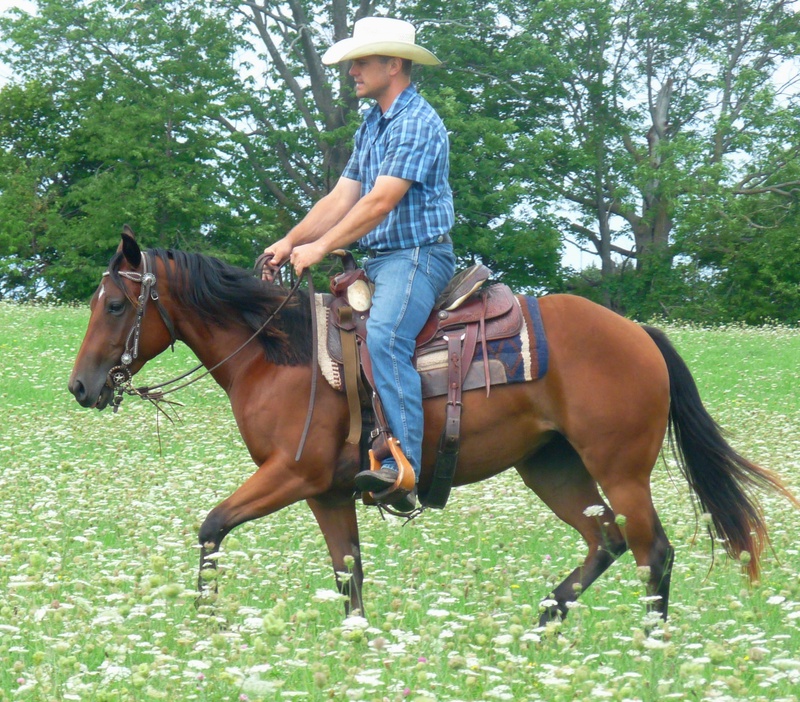 If you’re looking for a barrel horse, rope horse, or ranch horse, take a really good look at Lola. This is a special filly. Note: Her baby hair is a chocolate colour at the moment but she’s shedding out black. 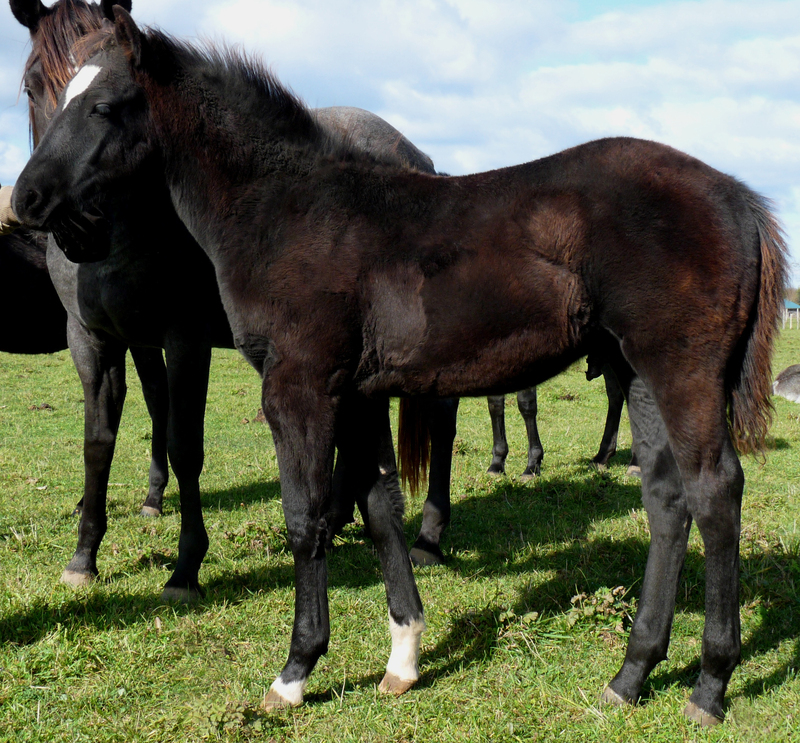 This fancy black stud colt is an attention getter. 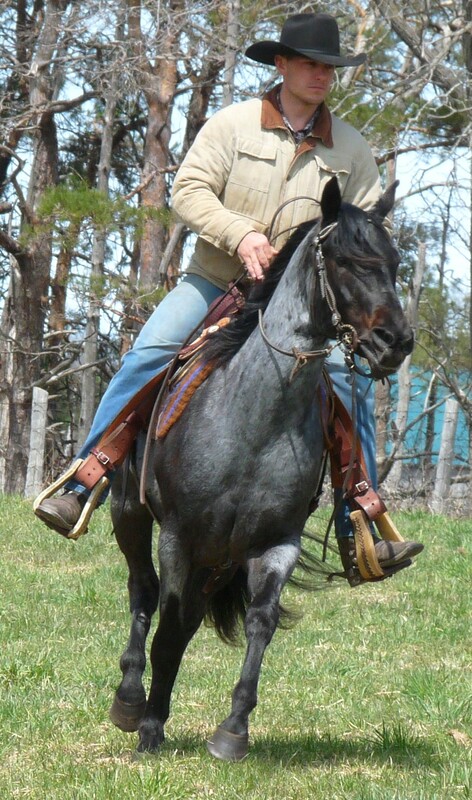 He’s by our 16+ hand stallion Northstar Smokin Gun (pictures of Smoke are on his stallion page on this website) and he’s out of a big typy Hancock bred mare. 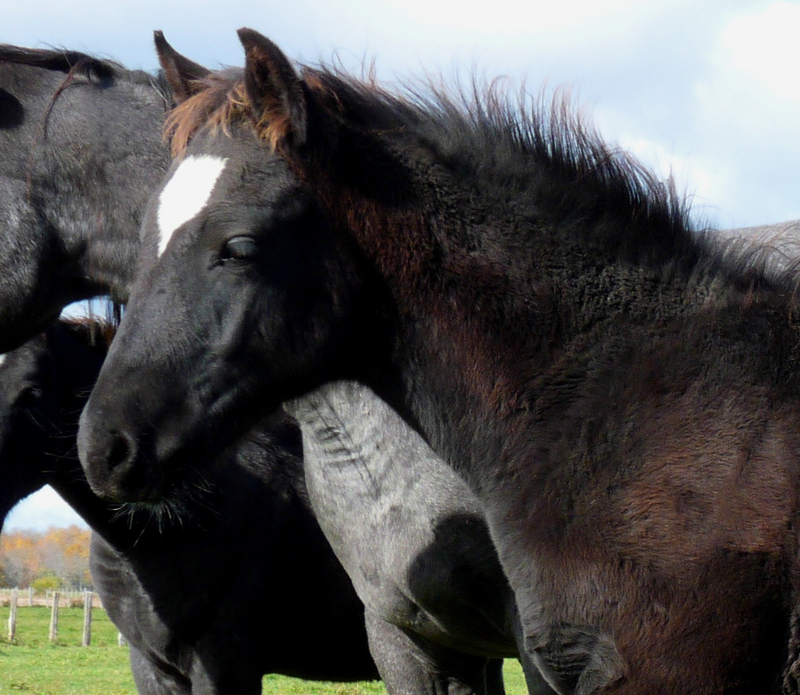 NS Blue Tuxedo – If you want a colt to stand out from the crowd then this is your guy. He’s a blue roan 2018 colt that’s put together just right by our stallion Northstar Smokin Gun. He has a big blaze and white on three legs. You wont see another one like him. 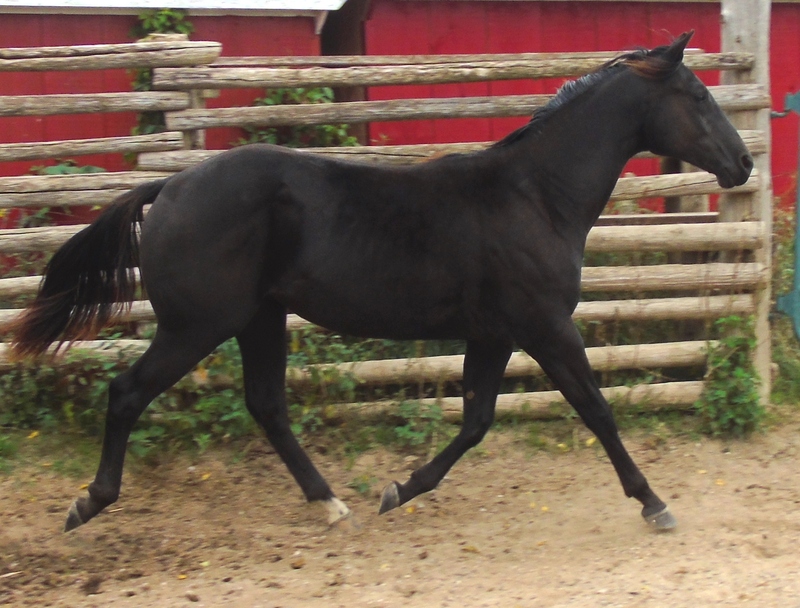 Showgirl – This super sharp 2016 black AQHA filly is really something. She’s got a big hip, a wide chest and about the classiest head and neck you ever saw on one. 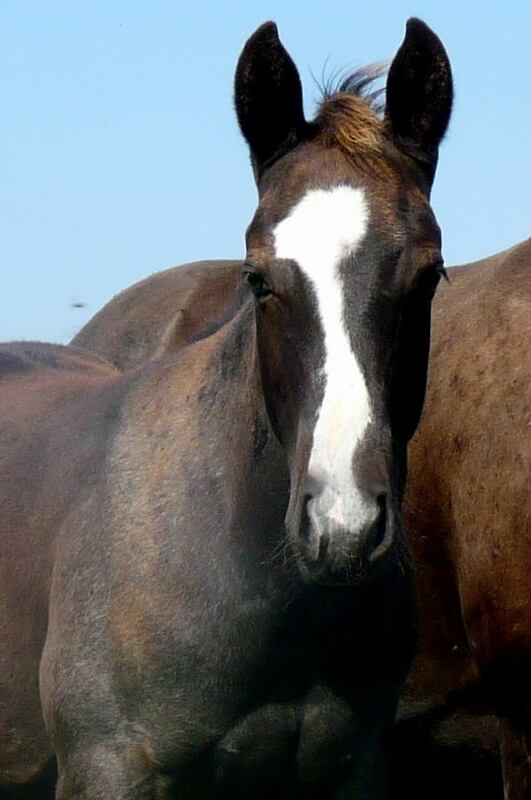 She’s by our senior herd sire PNA Travelin Hanock. 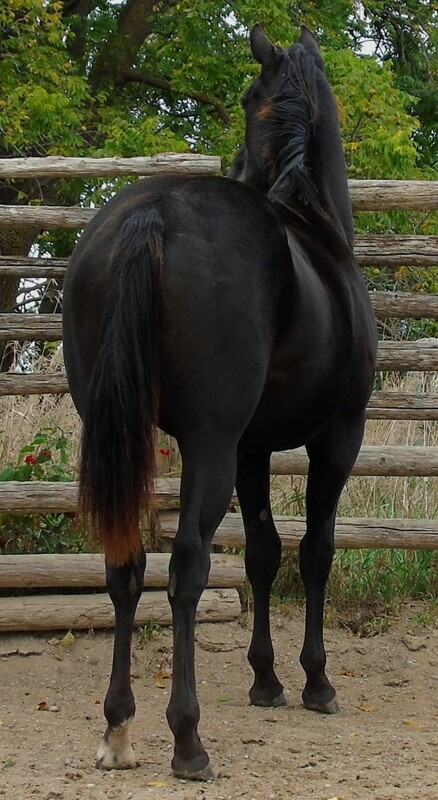 Her mother is a big bodied black foundation bred mare. They don’t come any prettier than her.